We hold immense expertise in manufacturing, exporting and wholesaling quality assured Metal Bellow Seals. Offered balanced seals fine application in petrochemical & chemical industries and refineries. To make sure that our provided balanced seals are able to cater to the requirements of afore-named applications, we manufacture these using best quality material. 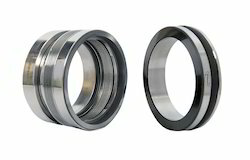 We also keep in mind the illustrated quality standards of the industry while manufacturing these balanced seals. 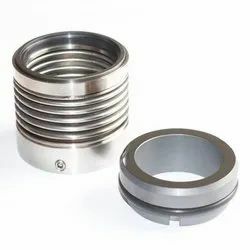 We are an eminent organization engaged in offering our reliable patrons an unparallele Metal Bellow Seals. 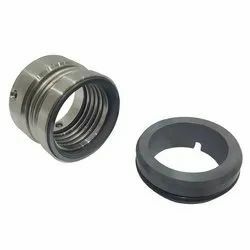 Available in different specifications, these seals are manufactured using optimum-grade raw material in accordance with the well-defined parameters of the industry. 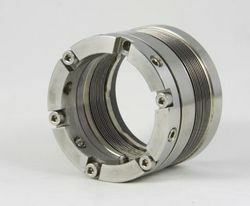 Furthermore, these seals are closely tested on various parameters to ensure defect-free Range. Leveraging on the support of our dexterous workforce, we are able to put forth an outstanding Industrial Metal Bellow Seal. Our offered seals are manufactured with precision at our state-of-the-art infrastructure unit with the aid of sophisticated machinery and technology. In addition to this, these seals are thoroughly inspected on various parameters to ensure flawlessness. In order to cater to the varied requirements of patrons, we manufacture, export and wholesale optimum quality Metal Bellow Unbalance Seal as per the detailed specifications. Further, we make use of high grade material in the manufacturing of these bellow seals so as to ensure their resistance against abrasion. Post production, we make these bellow seals pass a quality check under the supervision of expert professionals so as to check these presence of peerless features. These bellow seals have graphite secondary seal so to ensure their ability to withstand higher temperature and robust construction. We have specially designed and fabricated the MB61 and MB66 series of welded Metal Bellow Seal, for moderate temperature/pressure and high temperature/moderate pressure. 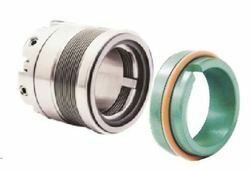 The Metal Bellow Seal are proven ideal for the high temperature and high corrosive application. These bellow seals are fabricated by welding a series of diaphragms together at the edges to form a bellows unit. The Metal Bellow Seal are used in the place of the spring and provide the flexibility to the seal. The seal is available as rubber o-ring and grafoil to use at extremely high temperature. We cater to the needs of patrons by providing MB61 & MB66 series Medium Size Metal Bellow Seal. These bellow seals are used in chemical, petrochemical & refinery process pumps for moderate temperature/pressure & high temperature/moderate pressure applications. Offered bellow seals decreases the requirement for springs & dynamic secondary seal and give flexibility to the seal face. 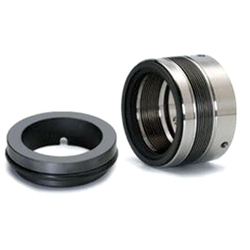 We manufacture these bellow seals by welding a series of diaphragms. These bellow seals are provided in two types of rubber o-ring & grafoil so as to ensure their ability to work in extreme temperature conditions. Offered bellow seals provides firm grip on the rotating element. In order to cater to the varied requirements of patrons, we manufacture, export and wholesale optimum quality Metallic Bellow Seal as per the detailed specifications. Further, we make use of high grade material in the manufacturing of these bellow seals so as to ensure their resistance against abrasion. Post production, we make these bellow seals pass a quality check under the supervision of expert professionals so as to check these presence of peerless features. 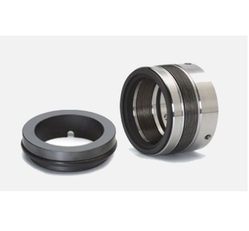 These bellow seals have graphite secondary seal so to ensure their ability to withstand higher temperature and robust construction. Looking for Metal Bellow Seals ?